This week marks the biggest remaining event of 2018, as a field of 78 has been assembled for the WGC HSBC Champions. The small matter of the Race to Dubai is still to be settled on the European Tour, but for those based on the other side of the Atlantic, this is the one big event left, and a last chance to shine for a lot of the world’s best. Last year, Dustin Johnson famously blew a six-shot lead here, after a spectacular effort over the first 54 holes. Rounds of 68-63-68 left Johnson on -17 going into Sunday, with Brooks Koepka his nearest challenger at -11. Of those to finish inside the top-10 last year, only one broke 70 on Sunday and that was the man who emerged victorious, Justin Rose. A final-round 67 was 10 strokes better than Johnson and in the end his 72-hole score of 274 (-14) was enough to win. Three of the top-4 players to finish T2 or better here last season, have all reached the World No.1 spot this year, as Johnson, Rose and now Koepka have achieved the coveted title. Whilst it is perhaps good for the game, the added competitiveness we are seeing this year, those that have reached No.1 this year will not be satisfied with the length of their reign, barring Johnson. 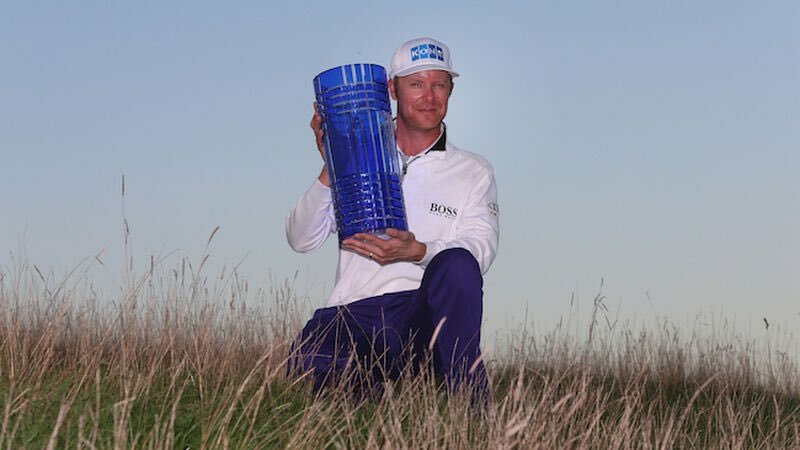 Rose only held the spot for two weeks, after reaching the peak of the rankings following his play-off loss to Keegan Bradley at the BMW Championship. A T4 finish at East Lake two weeks later was not enough to hold on, as Johnson finished 3rd to regain the mantle. Thomas finished T11 at the Players to secure his spot, then but finishes of T8 at the Memorial and ultimately T25 at the U.S. Open were not enough to hold on. Who knows how long Koepka will stay at the summit, but he’s played here twice (40-2) so will know that he needs to do this week to challenge for back-to-back wins. He was rightly named PGA Tour Player of the Year, after defending his U.S. Open title and winning the PGA Championship to make it three majors wins in two seasons. Onto this week, and whilst there are some notable absentees from the field, this is still a star-studded field. Thomas, Jordan Spieth, Tiger Woods, Bubba Watson, Rickie Fowler, Marc Leishman, Webb Simpson and Bryson DeChambeau have all decided to skip this event, despite its huge purse and the prestige that comes with winning a WGC event. This has been the host course for this event for all but one year since the event’s inception in 2005. The event moved to Mission Hills in 2012 for one year only, before returning back to Sheshan International. Since this event was given WGC status in 2009, the winning score here has been -20 or lower on five occasions, and only been worse than -17 twice. Last year was one of those occasions as Rose won with -14, as adverse weather conditions struck on Sunday. This derailed many, except for Rose, who shot a closing 67 to seal victory. Water is in play on 11 of 18 holes at this tree-lined course, but this is generally an easy test. Average width fairways means players do have a license to bomb it off the tee when required, allowing them to take advantage of the four par-5s and the driveable par-4 16th. Due to the opportunities players get off the tee here, bombers have generally done well and do seem to have a reasonable advantage, but players such as Russell Knox, Francesco Molinari and Ian Poulter feature on the winners’ list since 2010, so there’s still reason for optimism for the shorter hitters in the field. Bentgrass is the chosen surface for the greens here at Sheshan, so those that have excelled on those in the past will be comfortable here. Course form isn’t necessarily a pre-requisite to winning here, with David Howell, Y.E Yang, Phil Mickelson, Dustin Johnson and Russell Knox all winning here on their first visit so debutants will find solace in those victories. This is simply an easy golf course to score on, should the weather play ball, so those in good form of late should be able to to feast here as they have done in recent weeks in Asia, at the CIMB Classic and CJ Cup. Ignoring his missed cut at the Dunhill Links, which I’m happy to do given his lacklustre links form, Fitzpatrick has been in good form in recent starts. After finishing T36 at the Wyndham Championship, where he followed up an opening-round 70 with rounds of 67-65-68, Fitzpatrick played very well on his return to Europe. T7 at the Made in Denmark could and should have been a bit better, as he let himself down on Thursday, opening with a round of 72. A Friday 68 and a pair of 66’s on the weekend saw him shoot into contention and make a late run at the Ryder Cup team. It wasn’t to be for him that week but it was a different story a week later. A return to Crans-sur-Sierre saw Fitzpatrick defend his Omega European Masters title, holding off an impressive Lucas Bjerregaard in a play-off. Whilst he was poor at the Dunhill Links, he bounced back a week later, finishing T16 at Walton Heath, despite closing with a round of 74. He finished just one stroke shy of the top-10 and three strokes shy of a top-5 finish so it was perhaps a better effort than the leaderboard suggests, so he should take some confidence from the week. This week will be much different, as he will play what is usually an easy test, and weather permitting he should be able to go low here. Whilst this course tends to favour bombers, Fitzpatrick has proven in the past he has what it takes to go well here, as he has at places like Augusta in the past, which is also shaped up for the longer hitter. In three starts here, Fitzpatrick has finished 7th on debut, 16th in 2016 and 9th 12 months ago, and he can better those results this week. He opened with rounds of 68-69 last year, but weekend scores of 72-73 were not enough to keep him firmly in the hunt. In 2016 he was well off the pace, as were many who were chasing Hideki Matsuyama, but his debut is where he really excelled. Four sub-70 rounds (68-69-69-67) were good enough to see him finish in 7th, just one shot shy of 5th, two of 3rd and three of Kevin Kisner in 2nd. All in all, he clearly has the game to perform here, especially when in the form he is in right now. In 2015, he was coming in after winning the British Masters three starts prior, and last year when he’d just like this year, recently won the European Masters, so this week could well be similar. He loves this part of the world, finishing 23rd or better in 8 starts in and around China/Hong Kong and he’s more than capable of winning in strong fields, as shown with his win at the DP World Tour Championship. Four of his five wins have also come on Bentrgass greens, which is a huge plus this week. With seven places on offer, 50/1 looks good enough value to me, even if the fancier prices earlier on have a gone. After an excellent Sunday singles victory over Jordan Spieth on his Ryder Cup debut, Olesen didn’t quite have enough left in the tank to make the cut at the British Masters, but a return to a familiar golf course can see his fortunes change once again. Before the Ryder Cup, when trying to cement his place in the team, Olesen finished inside the top-6 in four of his eleven starts following his Italian Open victory and also finished inside the top-20 on three more occasions, so was on a hot streak of form. With the incentive of making the Ryder Cup team now behind him, the fear is he may rest on his laurels for the rest of the year but this event presents on opportunity for him to make another step up in class. His win at the Italian Open earlier in the season was his fifth on the European Tour, all of which have come since 2012, so he clearly knows not only how to win, but does it with regularity as well. Olesen finished 10th at last year’s WGC Bridgestone Invitational before finishing T3 this year in the same event, so these stronger fields do not faze him, nor does this course. In four starts in this event Olesen has finished T11-T6-T19-T31. Whilst his effort last year wasn’t his best, even when T19 in 2015 he shot rounds of 64 and 66, so his potential around this course is clearly very high. At 80/1 you are backing a player enjoying the best season of his career, and one that is destined to make a step up. After backing Bjerregaard to win the Dunhill Links at 50/1 and being rewarded by the Big-Hitting Dane, I am happy to chance him taking another step up in class, to secure his first WGC victory. This will be his first start in a World Golf Championship, but given his current form it may have come at the perfect time. In his last five starts he has a win, a 2nd, two more top-9’s and finished no worse than T20, so a course such as this should be no problem on current form. Sheshan tends to favour those long off the tee, which Bjerregaard is and whilst he has yet to play this course, he has fantastic form in this part of the world. In three starts at the Volvo China Open, Bjerregaard has finished 3rd, T6 and T14, which is some return, and proves he has a liking for this part of the world even if not specifically this course. Many a player have stepped up and won this event on debut and whilst many were top drawer players, Bjerregaard will perhaps look at someone like Russell Knox and think why can that not be him – especially as Knox was an alternate that week! 80/1 about a player who has just won the biggest title of his career, is clearly improving and looks to suit this type of test, looks a good bet to me. He’s certainly a player to keep an eye on, until his form suggests otherwise. We were close again last week, as Gary Woodland finished 2nd and Rafa Cabrera Bello 3rd but it wasn’t to be. Hopefully this week we can find a second winner of the month.